The Ball State University Student Newspaper collection provides access to full-text searchable digitized student newspapers from Ball State's history, dating to 1922. Included in this collection are The Ball State Daily News (1968-present) and its predecessors, The Ball State News (1937-1968) and The Easterner (1922-1937). 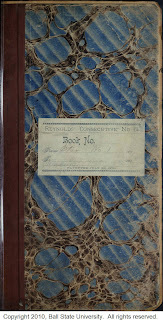 At present, issues from 1922 to 1929 are available electronically. The online availability of these early newspapers will provide a first-hand look at the humble beginnings of the student press at Ball State. 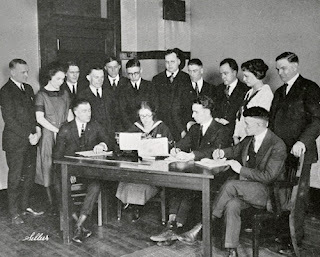 The Easterner, the predecessor of the modern Ball State Daily News, published its first edition on March 30, 1922, debuting as a 4-page weekly paper which sold for $0.05 per copy. Subscriptions were sold at $0.40 a term and $0.75 for two terms. Shown above is the staff of the Easterner in 1922. At the outset, the paper had a distinctly campus feel, devoting itself to the coverage of campus events, including sporting events, performances, elections, and guest speakers, and reporting on the accomplishments of faculty and students. The activities of social organizations were well-documented, helping keep students aware of activities of interest. Jokes, riddles, and poetry could also be frequently found in the inside pages, and cartoons and illustrations could often be found on the paper's cover. 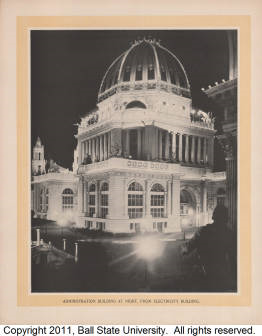 The name of the publication reflects the fact that the school was then known as the Indiana State Normal School, Eastern Division. Thomas J. Breitweiser, Dean of the Eastern Division and Professor of Psychology and History of Education, played a critical role in the founding of The Easterner, serving as the paper's faculty sponsor at its inception. 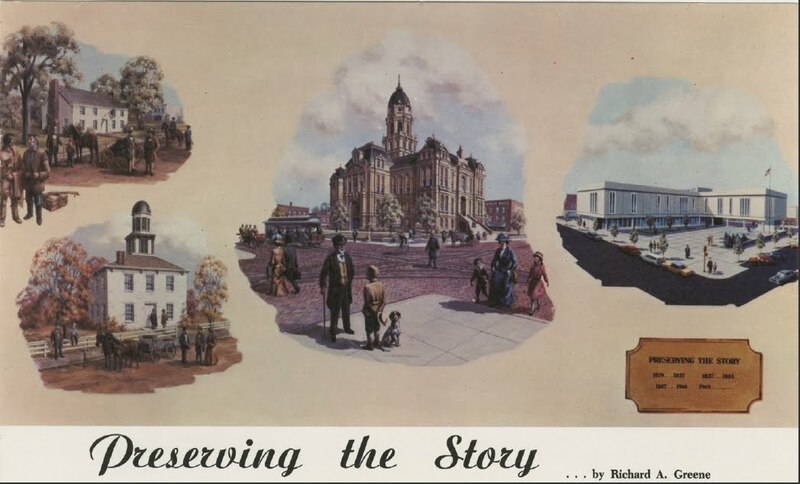 The initial staff of the paper consisted of W. C. Harding as editor, Arthur Campbell as assistant editor, Basil Swinford as business manager, Luther Myers as assistant business manager, Roy Reynolds as advertising manager, Margaret Medsker as society editor, Thelma Carter as exchange editor, Fred Shroyer as circulation manager, and Charles McComas as athletic editor. Swinford, who graduated later that year, was quite the school stalwart; in addition to his serving as business manager for the paper, he was also the assistant business manager for the 1922 Orient (the yearbook), the secretary-treasurer for his senior class, a member of the Navajo fraternity, a basketball letter winner in 1921, and a member of five additional school clubs. Swinford would go on to serve as Associate Professor of Business Education from 1926 to 1962 at Ball State. His interest in the student press did not wane as a faculty member, as he served as business advisor for the student newspaper during his years as a professor. Basil Swinford would later be honored as a namesake for the Botsford/Swinford halls in the Johnson Complex. On February 26, 1937, years after the school became known as Ball State Teachers College, The Easterner changed its name to the Ball State News. On September 12, 1968, as a result of the increase in publication frequency, the paper became known as the Ball State University Daily News. In subsequent years, the paper was known by that name, the Daily News, and The Ball State Daily News, and eventually chose The Ball State Daily News as its permanent name. 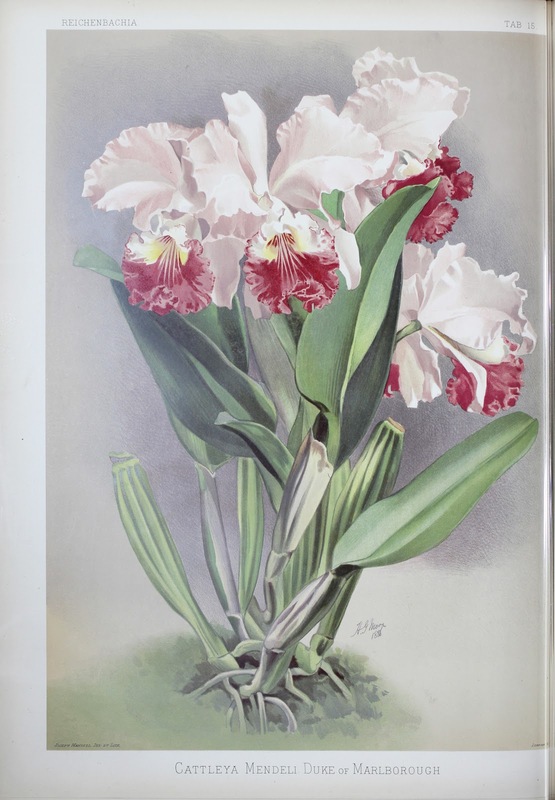 The latest digital collection in the Digital Media Repository is the the Thomas P. and Eva Mann Collection. It includes local, national, and international postcards, Muncie, Indiana Westwood property assessments and plat maps, correspondence, birth records, and photographs from Thomas Mann and his family. The collection ranges from 1896 to 1959 and documents the Mann family`s history and travels. 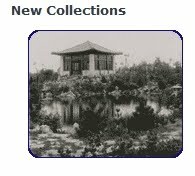 For a detailed description about this collection, please view the Thomas P. and Eva Mann Collection finding aid. 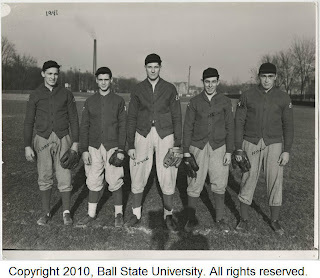 The Ball State Alumni Memorabilia digital collection consists of Ball State memorabilia donated by alumni and maintained at the Alumni Center. 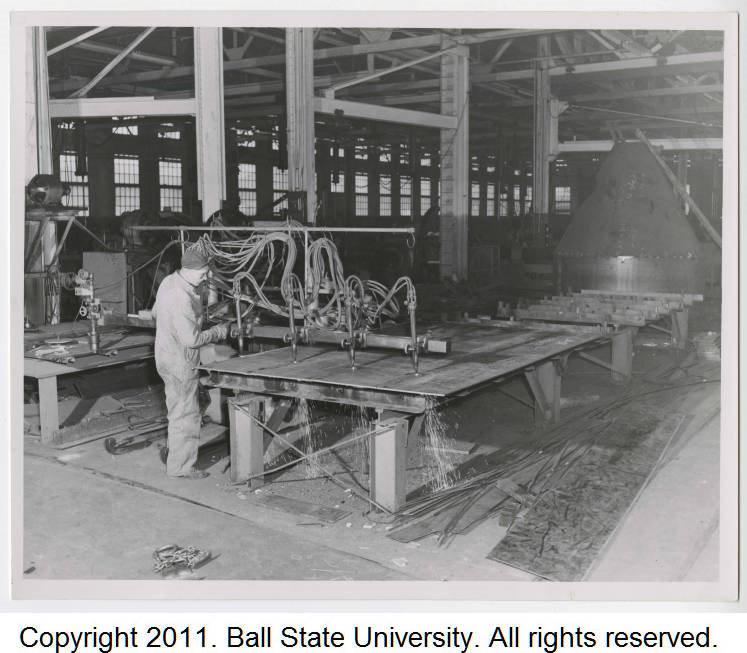 Ball State University Libraries is scanning and photographing the collection there to create this digital version in the DMR. The first installment is all photographs dating from 1918 to 2001 relating to student life. The collection will be expanded to include other media types, including artifacts such as banners, pins, clothing, etc. 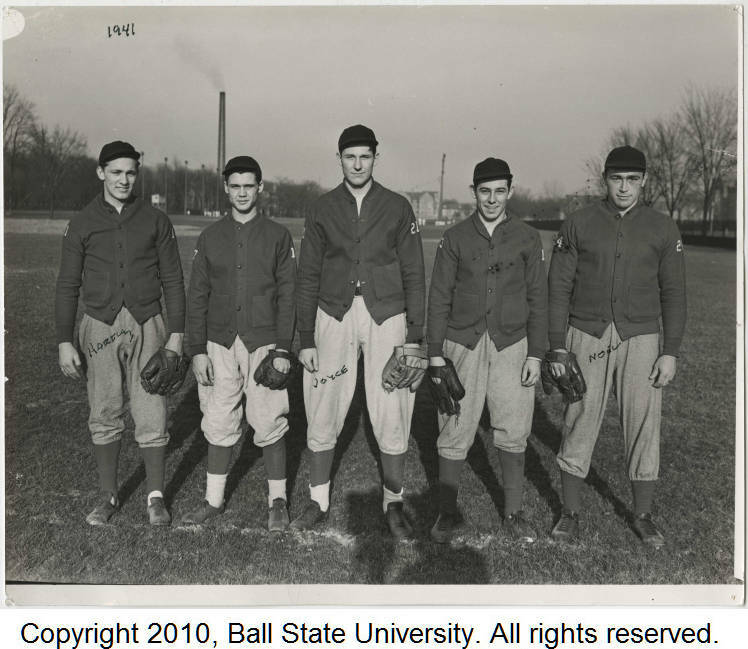 Pictured above is one of the photos from the collection depicting the 1941 baseball team at BSU. 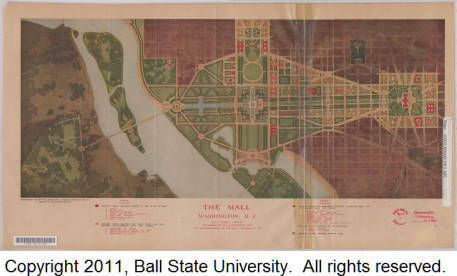 New to the DMR is the Ball State University Course Catalogs collection. 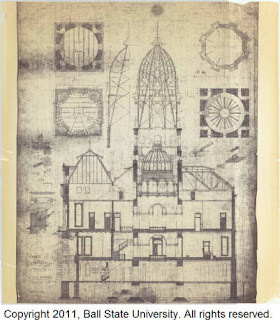 This digital collection contains searchable versions of BSU course catalogs from 1918 to 1998. It includes information about academic policies and requirements, course descriptions, programs, admissions and unique student opportunities. The collections also links to the catalogs from 1998 to present that Ball State already has available on the University Web site. This month, 85 new assets were added to this online collection. 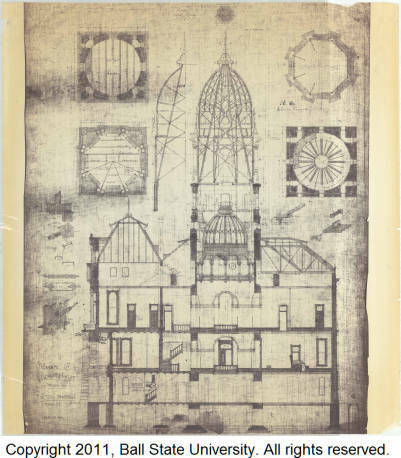 Additions include several examples of domestic architecture from the 1930s and several drawings commissioned by Marian College. Pictured below is a preliminary drawing of a Marian College dormitory and classroom building. We are pleased to announce that the Star Drug Store Inventories are now available in the Digital Media Repository. 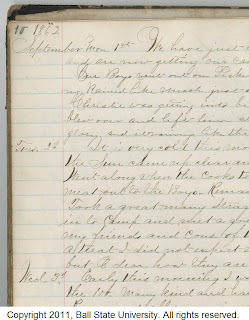 This digital collection consists of 2 volumes of inventories documenting merchandise and prices at a local drug store in Muncie in 1885. Then inventory includes books that were sold and therefore is used in the What Middletown Read Project. The Star Drug Store, which was located in downtown Muncie, Indiana, was owned by Geo. H. Andrews. The main room was 24 feet wide and 80 feet deep. With a wareroom in the rear and a 20 foot square room upstairs, all sorts of goods were available to the community. According to an advertisement from the 1881-1882 Muncie, Indiana city directory, the drug store bought large quantities direct from manufacturers and importers and was said to have the lowest prices on the purest goods.